Join your neighbors for an Independence Day celebration on Wednesday, July 4th at Gunter City Park from 6pm – 10pm. Listen to live music from the Rough Riders while enjoying great food, arts & crafts, games, free kids activities and more. Don’t forget your lawn chairs & blankets, and grab that perfect spot for Gunter’s famous fireworks show by Davis & Miller Fireworks Co. 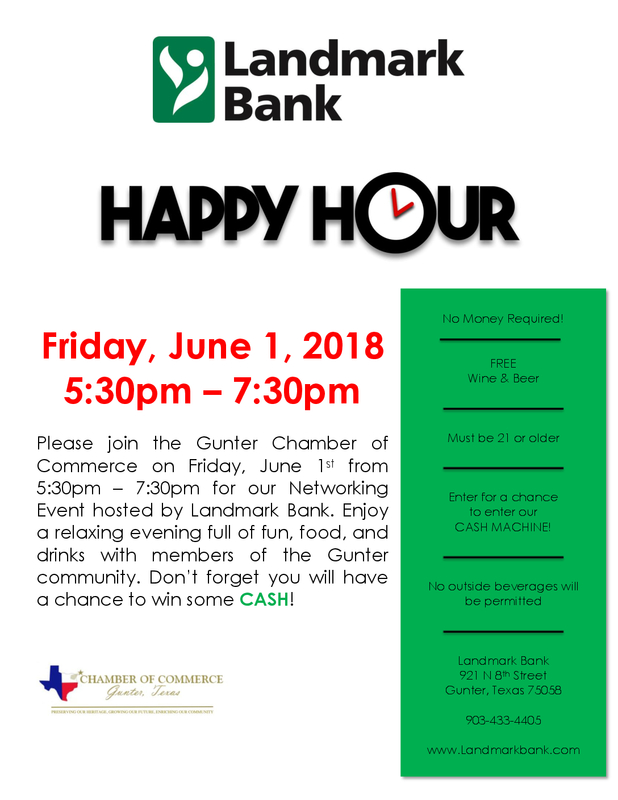 If you’re interested in becoming a Sponsor and/or a Vendor, please download application or contact us today at Cochran_GunterChamber@live.com.